Hi there Bramblewood Fashion Readers, I am Bethany. Ashley has been so kind to allow me the lovely opportunity to be a guest writer. 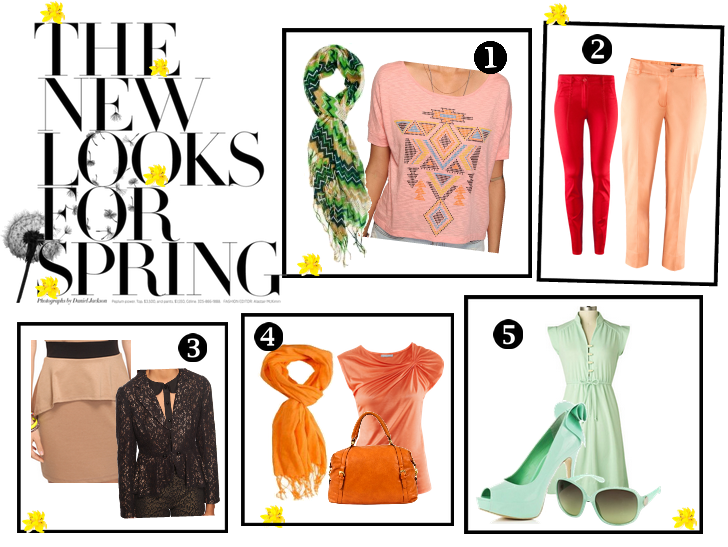 Hopefully you too fall in love with the Spring must have fashion! Spring is here! It’s time to put away the gloves and coats and get out the shades and sunscreen. The brink of this new season ushers in new fashion. With exciting colors and styles, be the first to know what’s big for this wonderful time of year. Get your adventures rolling with stylish and exotic tribal and Aztec patterns. With their intricate designs and prints, these bright pieces are an easy way to jazz up any outfit. Simply slip on a tribal scarf and you have the perfect accent piece. Whether you’re spending a casual day shopping, or a fancy evening out to dinner, make it unforgettable by incorporating one of these bold patterns. If you need a little pep in your step, but can’t fully commit to the existing extreme color palette, add a colored pant. A bright pant is a perfect, basic piece because it comes in all styles: capri, skinny, and flare. They also come in all hues, from muted to neon. This wardrobe essential gives off a perfect fun and trendy vibe. Peplum, which is a flared ruffle attached at the waist, not only personifies sophistication, but is truly figure flattering! Although peplum is reemerging on the scene, it comes back with modernized twists. Unlike the ‘80s, the current red-hot peplum is much softer, shorter, and less dramatic. It comes in various styles that are more focused on flare and less on ruffle. This tangy hue is stated as the color of the year. Tangerine is literally walking the red carpet -- not the color, but actresses wearing it! This vibrant shade greets spring with an enthusiastic “hello,” and is deciding to stay through the summer. With open arms, try to embrace tangerine because I don’t think it’s going away any time soon! This color soothes the soul – or, makes you hungry for ice cream! Either way, mint is being raved about and worn [a lot] this spring! Fashion is mad over mint, showing up in all varieties: accessories, pants, dresses, and shoes. Need subtle flair? Add some mint to your outfit. And yes, a cup of the ice cream can technically count as an accessory! 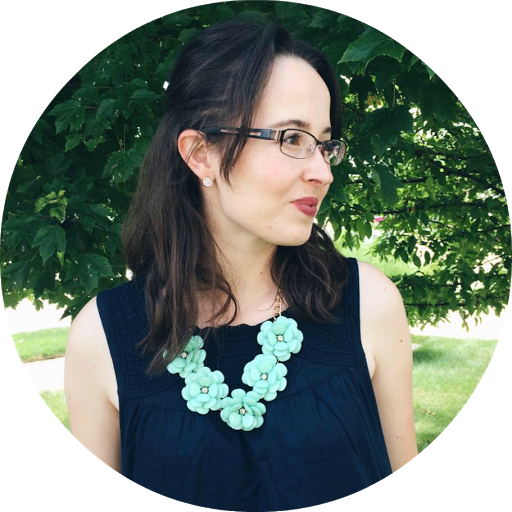 About the author: Bethany loves to see beauty in all things from a fantastic fashion find or a good book. She is always on the lookout for current trends and enjoys writing about them.